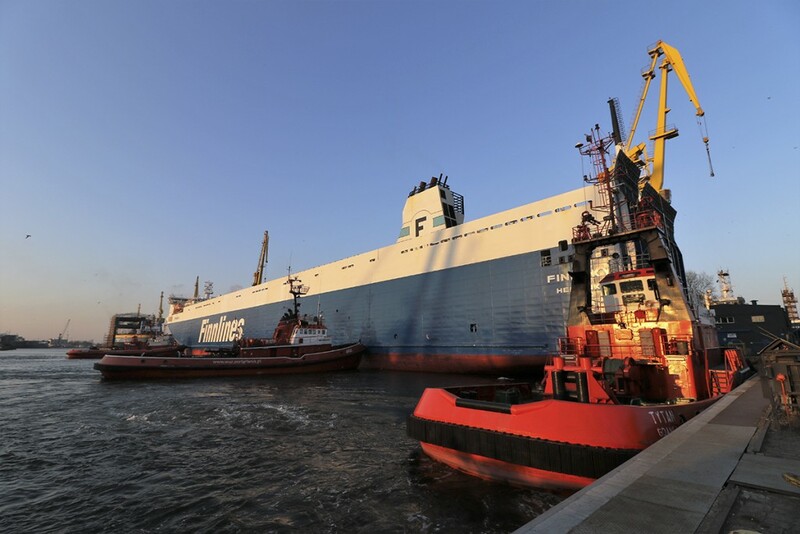 Finnish cargo ro-ro Finnsky, owned by the Finnish shipowner, is the third unit that has been recently lengthened at Remontowa SA shiprepair yard in Gdansk. Earlier, the shipyard extended two other, sister ships of the same owner: Finntide and Finnwave. 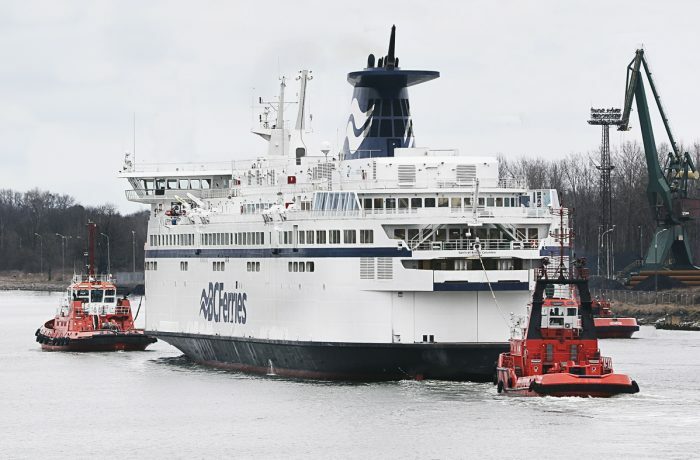 The third Finnlines’ vessel left the yard on March 28, 2018. 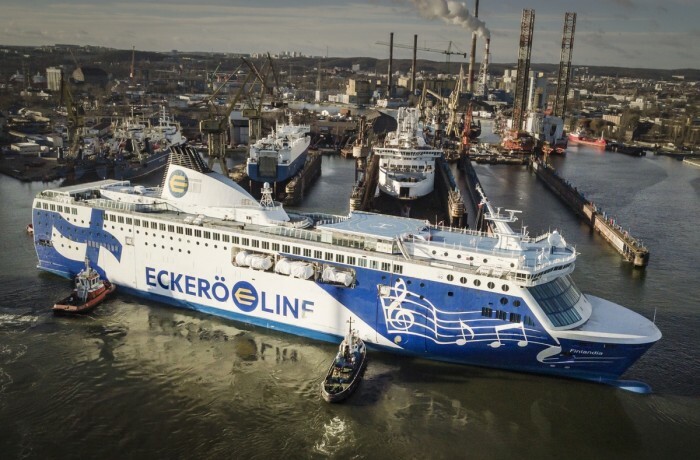 The fourth ro-ro ship from the same series – Finnsun arrived for its lengthening operation on April 4 and is expected to leave the yard by the end of May. The contract for the upgrade of the ferries was signed in March 2017. It concerned four ships with an option for another two. Finnlines used the option of “jumboisation” of further two ro-ro vessels of the “Breeze” class at Gdańska Stocznia Remontowa SA. The shipowner announced this in an official communiqué mid-March. Ferries number 5 and 6 – Finnbreeze and Finnsea will be lengthened between September and December this year. Let us recall that every ship undergoing reconstruction, after cutting the hull midships, receives a steel insert weighing 1500 tons, 29.5 m long, 26.5 m wide and 23.5 m deep. 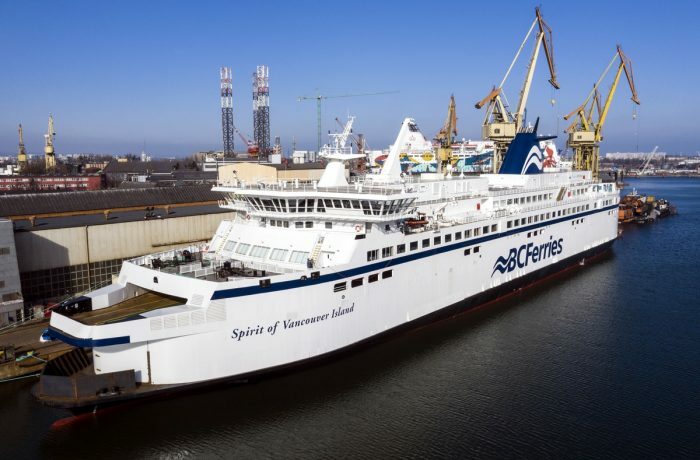 Extending the length of ferries by almost 30 meters significantly improves their energy efficiency and thus contributes to the reduction of emissions of environmentally harmful compounds. Lengthening of ships is also the owner’s response to the growing demand for transport in the Baltic Sea. Modernized units, owing to the increased cargo area, can efficiently serve more cargo.